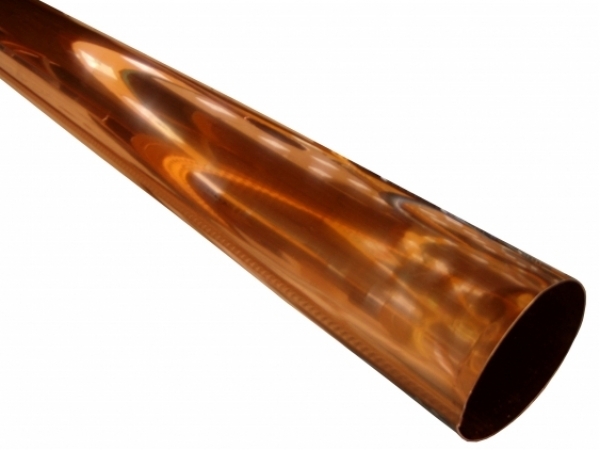 Copper Plain Round Downspouts are the most popular downspout used with Half Round Copper Gutter. Our Plain Round Downspouts are made of 16 oz. Copper and are smooth and cylinder shaped for maximum water flow capacity.